These programmes comprise a practical element and the benefits of engaging on or practical programmes will afford you the invaluable work experience needed to ensure employability. PMC-UK have a dedicated team of Career Officers and Mentors to provide the support, information and guidance in all aspects of starting a career as a Project Management Professional (PMP). 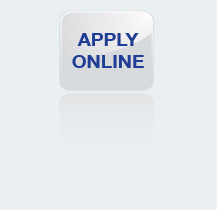 The application process for UK students is a very simple straightforward process that involves enrolling online by clicking here. The college has students from all parts of the worlds particularly Asia, Africa and the Caribbean. Our training programmes include a special induction for foreign students to ensure they have and effective and enjoyable learning experience in the United Kingdom. Studying in the UK is an opportunity to experience world-class learning and exposure to a multi-cultural environment. We do have International Students who apply to study in the UK. If you are classified as a visa-national, you will require student-visa in compliance with the UK Immigration policy to study on any of our programmes.